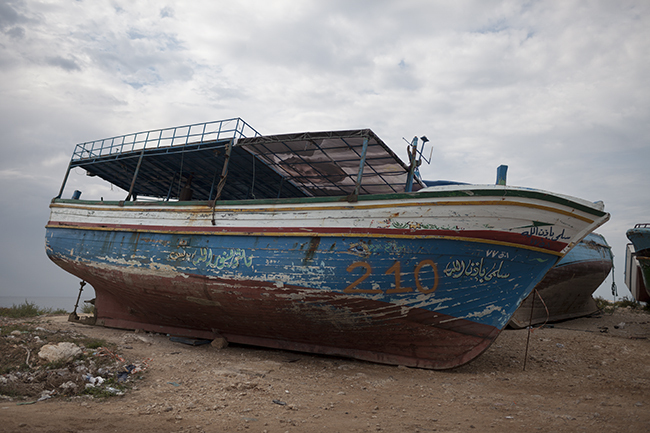 One of hundreds of boats used by migrants to cross the Mediterranean sea lies abandoned in the harbour of Portopalo di Capo Passero, Sicily’s southernmost community. The stretch of sea between the island and north-Africa, known in Arabic as Madiq Qilibiyah (strait of Kelibia), is crossed every year by thousands of migrants on their way to Europe. 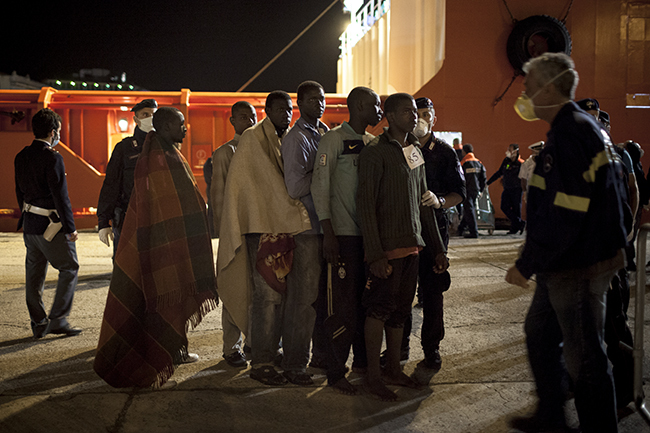 Siracusa, Italy – 12th of October, 2013: A group of 183 migrants land in the port of Siracusa, on the Southern Italian island of Sicily, after having been picked up 70 km from the Libyan coast.